Chinese Table Games: How Are They Different? Although still hugely popular in the country, gambling is actually a crime according to Chinese law. In practice, however, Chinese citizens can participate in state-run lotteries and engage in legal gambling in the regions of Hong Kong and Macau, which were initially run by the UK and Portugal respectively. Although Chinese residents can’t legally partake in the same games other countries can, plenty of Chinese games have made their way overseas to become popular forms of entertainment. Let’s take a look at some of the most popular Chinese table games and exactly how they differ from each other. Although their names differ, there’s very little between sic bo and craps, as they’re both games of chance involving dice. The aim in both games is that players have to bet on certain conditions of the dice set by a roll. Despite the two games being near enough the same, sic bo is purely based on chance, as each dice roll can only result in a win or a loss. With craps however, it’s based more on strategy, as certain bets require certain rolls of the dice before they can be deemed winning or losing bets. Despite its name alluding to it, pai gow poker isn’t actually poker at all; simply a variation of pai gow (the dominoes game) just played with cards. The goal of pai gow poker is to make two poker hands – one five-card hand and one two-card hand, and if your hands beat the dealer’s, you win. It’s considerably easier and less technical than poker too! Chinese mahjong is very similar to the game gin rummy, where players must collect cards from the same suit or number. 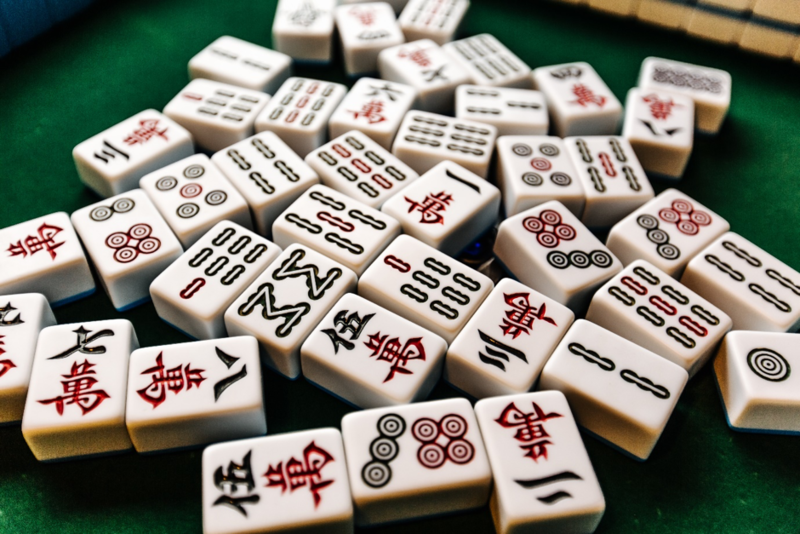 Rather than cards however, mahjong is played with small tiles. Each person is dealt 13 tiles, and they must collect groups of the same tile. You need four groups of three and one pair of the same. Although pai gow tiles looks remarkably like dominoes, the two games actually have fairly different rules. In dominoes, each player is given seven tiles which they have to place end-to-end (number-to-number) and the first to place all of their tiles, wins. If neither player is able to finish because their tiles don’t match the ones laid, both players reveal their leftover tiles and add up the total. Whichever player has the lowest total wins the round. Pai gow however, requires a dealer, and each player makes two hands – one that goes first and one that goes second. If your first and second hand both beat the dealers, you win the game. Aesthetically similar, but vastly different in strategy and rules! So, there you have it. Let us know if you learnt anything new, and be sure to share it with your pals! If you fancy trying any of the games mentioned, head to Paddy Power games online and give them a spin!